Super Bowl 53 kicks off this Sunday, and while the Rams and Patriots duke it out, most Americans will be doing battle on the snack table. Year after year, Super Bowl Sunday proves the true American pastime is eating. Game day football party table with beer, chips and salsa. Everyone knows the Super Bowl is big business for the host city, but it’s also big business for the food industry nationwide. Americans plan to spend an average of $81 to celebrate the big game, according to a National Retail Federation survey of 7,384 adults. That figure — including money spent on decorations, food, and other expenses — adds up to $14.8 billion. If that number seems impressive, take into account the fact that anticipated Super Bowl spending is actually down from last year’s total of $15.3 billion. However, the NRF states that this drop in Super Bowl spending will most likely be because fewer people plan to watch this year's game — Patriots fatigue anyone? At Yahoo Finance we follow the money, but today we’re following the food. Everyone has their go-to snacks, but there seems to be one top dog — or should we say top bird — and that’s the chicken wing. Chicken Wings are the top choice when it comes to the big game. 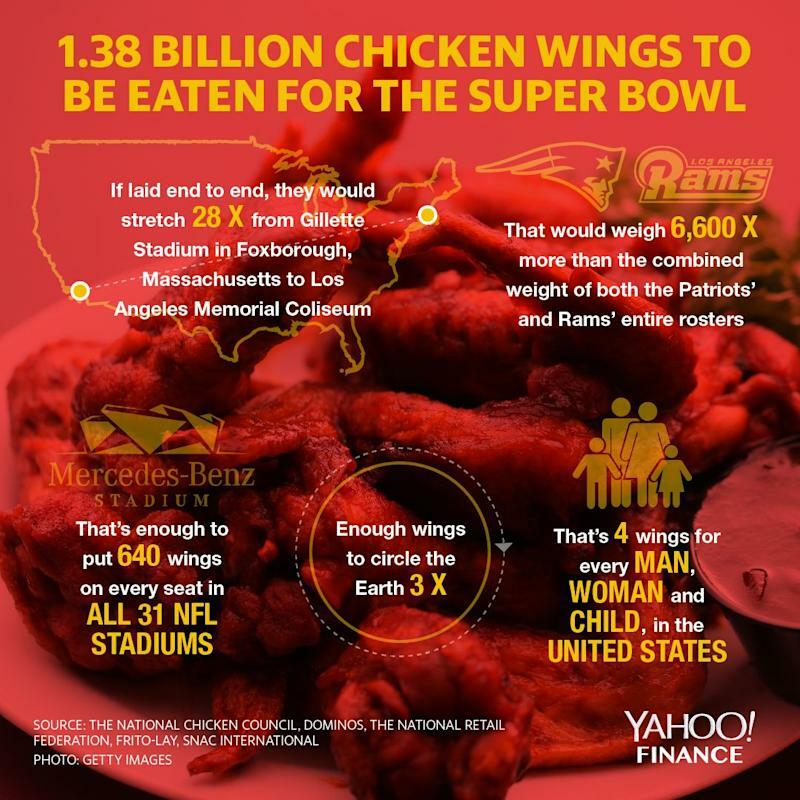 According to the National Chicken Council, Americans will eat more than 1.3 billion wings during this year's Super Bowl, which is up 2%, or 27 million wings, from last year. To put that in visual terms — 1.3 billion wings laid end to end would stretch an astonishing 28 times from Los Angeles Memorial Coliseum to Gillette Stadium in Foxborough, Massachusetts. That’s also enough wings to circle the globe three times. That’s enough for every man, woman, and child in the U.S. to eat four wings a piece on Super Bowl Sunday. The Council is currently petitioning President Donald Trump and Congress to declare the Monday after the Super Bowl a federal holiday: “National Chicken Wing Appreciation Day.” Whether that makes it into this next round of budget negotiations or averts another government shutdown remains to be seen. The council also points out that chicken prices remain favorable due to good market supply. Whole wings retail at around $3.01 per pound on a national average, according to USDA’s Agricultural Marketing Service. That’s up 51 cents from last year’s price of $2.50 per pound. Restaurant chains are also getting into the food frenzy that is Super Sunday. Buffalo Wild Wings (BWLD) says it sold over 14 million traditional and boneless wings last year for the big game. BWW plans to see a 30%-40% increase in traffic on football's biggest day. To satisfy the hundreds of thousands who will fill its tables on Sunday, BWW will increase its wing output by 37% in terms of traditional wings and 20% more boneless wings. That also includes stocking up on 47% more wing sauces. 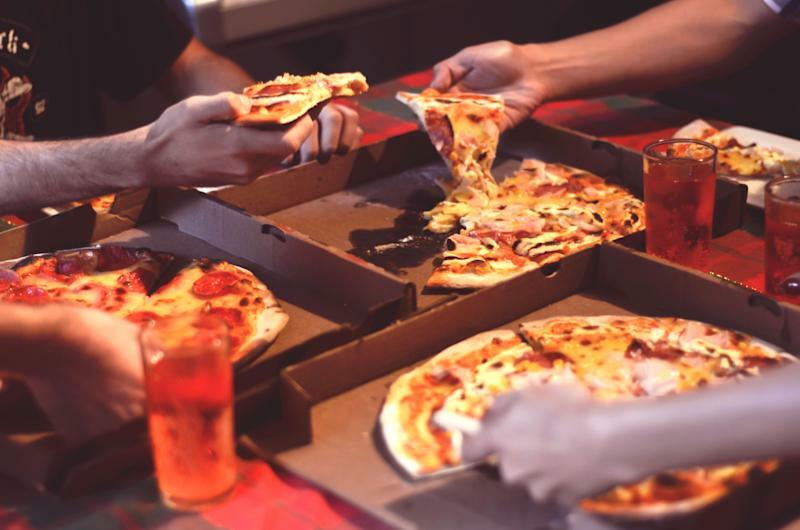 Last year for the big game, Domino’s (DPZ), the largest pizza company in the world based on global retail sales, sold enough pizzas to stretch across more than 5,000 football fields. This year the pizza chain anticipates selling nearly 2 million pizzas and 4 million chicken wings. That amounts to about a 40% increase in pizza sales compared to an average Sunday. Rival Pizza Hut (YUM) anticipates selling 1.5 million pizzas nationwide on Super Bowl Sunday. That is equivalent to 200 slices for every one fan who attends this year’s game in Atlanta. 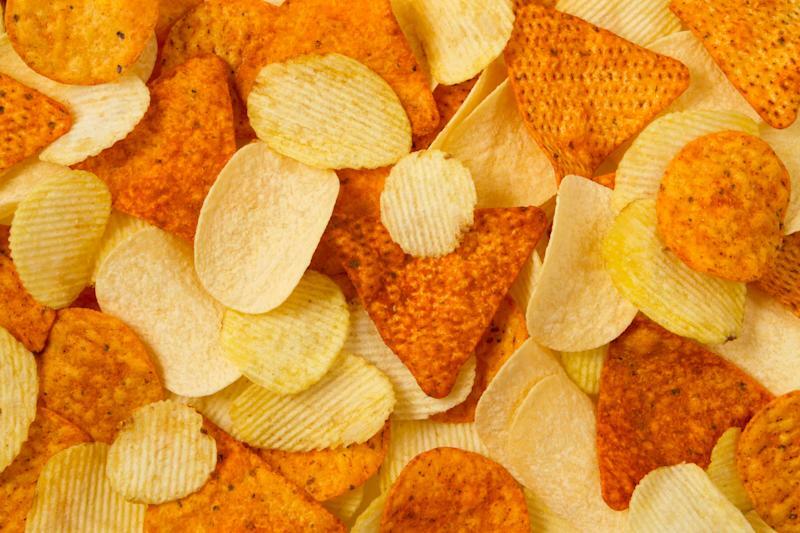 When it comes to salty snacks, the folks at Frito-Lay have it down to a science — literally. 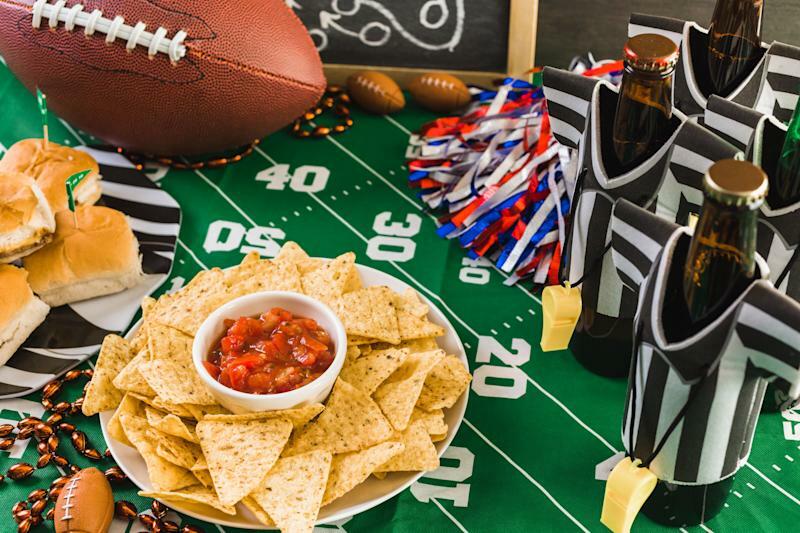 This year, the PepsiCo (PEP) owned company launched its first-ever U.S. “Snack Index,” which highlights what Americans will be reaching for during this year's big game. According to data compiled by the company, 80% of Americans will be eating potato chips or tortilla chips. According to the index, spicy snacks are the real MVP when it comes to younger viewers. Twice as many Gen Z and Millennials polled said they preferred spicy flavors. Not only does age matter when it comes to snacking but so does location. On Sunday folks in LA and Boston will be on opposing sides of the gridiron, but they will also be on opposing ends of the snack table. According to Frito-Lay, those in LA prefer to snack on potato chips while the folks up in Boston would rather eat tortilla chips. Snacking Nutrition and Convenience International notes that in 2018 snack sales the week of the Super Bowl vs. the week prior jumps over 17%. In total Americans spent $387,872,716 on savory snacks for last year’s big game. So whether you root for the Pats or Rams — or no team — one thing is clear: The food industry will be the real winner on Sunday, though the stomachs of millions may beg to differ.